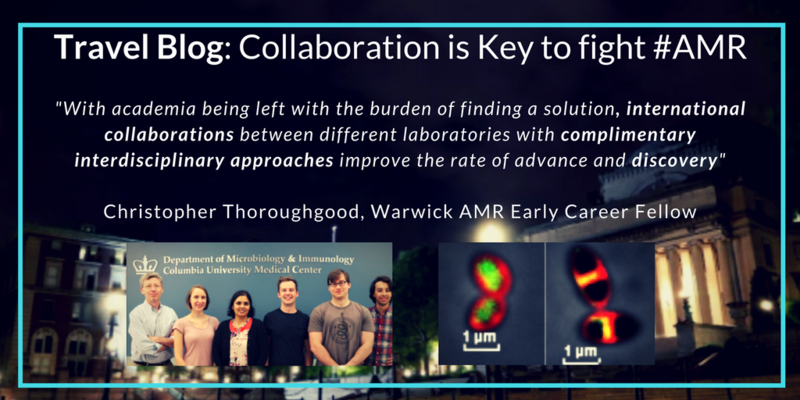 Project: Understanding the mechanisms driving resistance to two classes of antibiotic in Enterococcus faecalis. Read my Research Visit Blog here (3 month secondment to Columbia University, New York). Antibiotic-resistant enterococci are major causes of hospital-acquired infections. All enterococci are intrinsically resistant to the majority of cephalosporins, which are β- lactams antibiotics. These drugs prevent peptidoglycan (PG) polymerisation by inactivating the transpeptidases responsible for PG cross-linking. 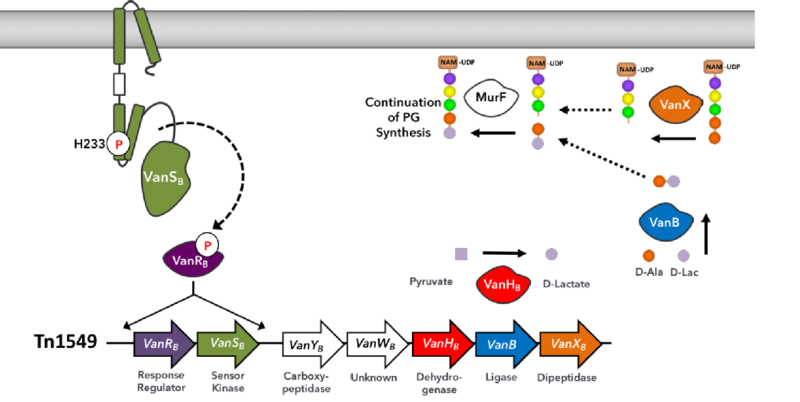 Vancomycin is a glycopeptide antibiotic that prevents PG biosynthesis by a mechanism distinct from that of the β-lactams. Vancomycin binds to the D-Ala-D-Ala termini of lipid II that is the initial building block of the PG polymer. Organisms become resistant to vancomycin by conversion of the D-Ala-D-Ala termini to D-Ala-D-Lac. This difference causes a 1000-fold reduction in the binding of vancomycin to the PG termini and allows for continued PG polymerisation, demonstrated below. 2014-Present: The University of Warwick, PhD Mathematical Biology and Biophysical Chemistry Interdisciplinary Research funded by the MOAC Doctoral Training Center (EPSRC) taking place between the Department of Chemistry with Dr. Ann Dixon and the School of Life Science (Dr. David Roper). We are studying a class of proteins involved in the up-regulation of Vancomycin Resistance in Enterococcus faecalis.